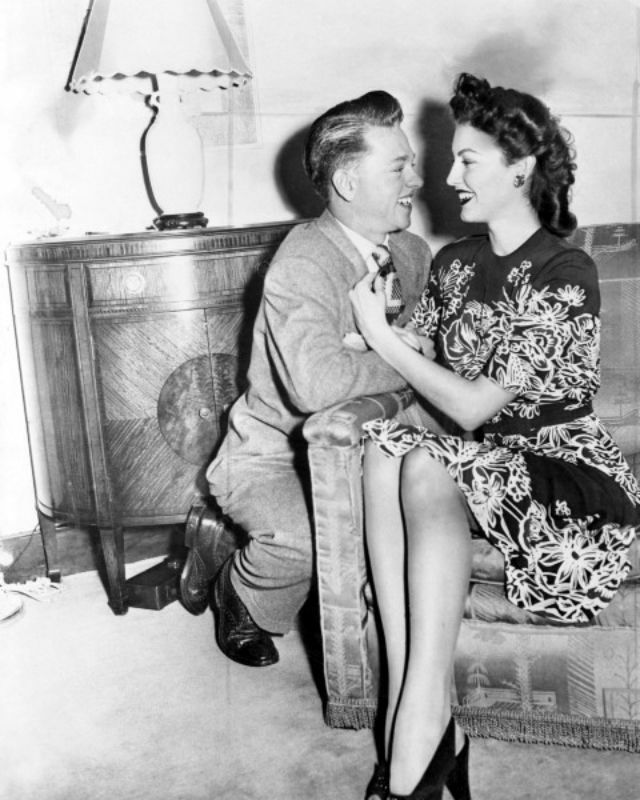 Rooney was married eight times, with six of the marriages ending in divorce. 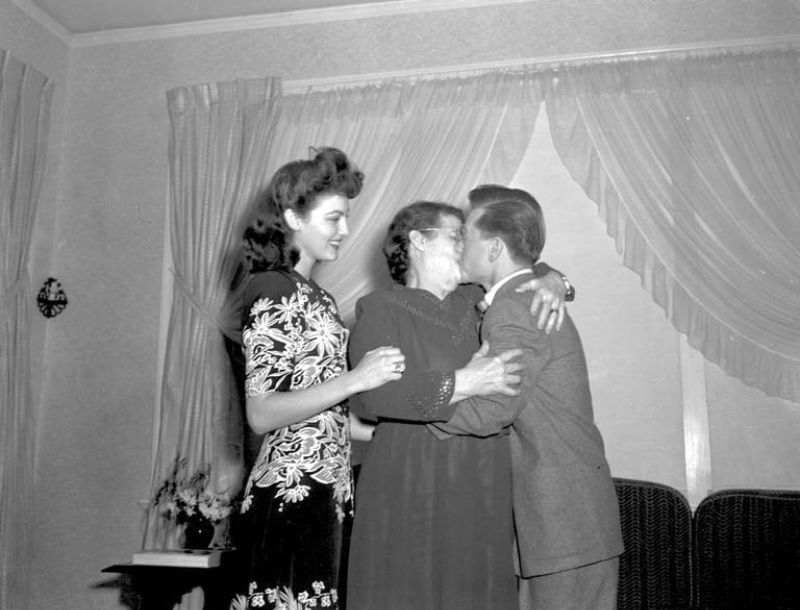 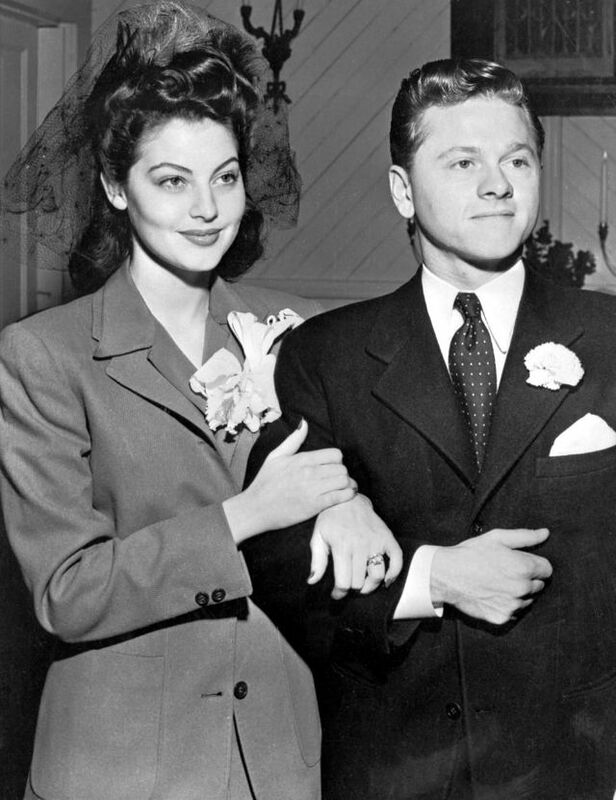 In 1942, he married his first wife, actress Ava Gardner, who at that time was still an obscure teenage starlet. 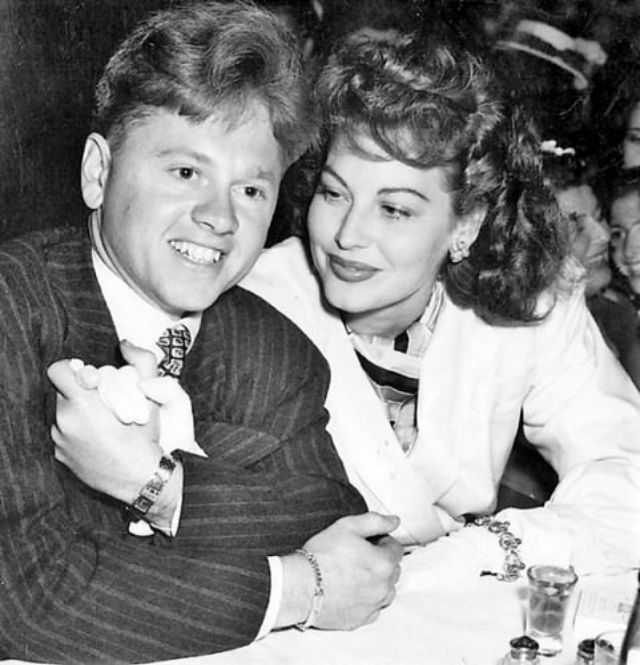 They divorced the following year, partly because he had apparently been unfaithful. 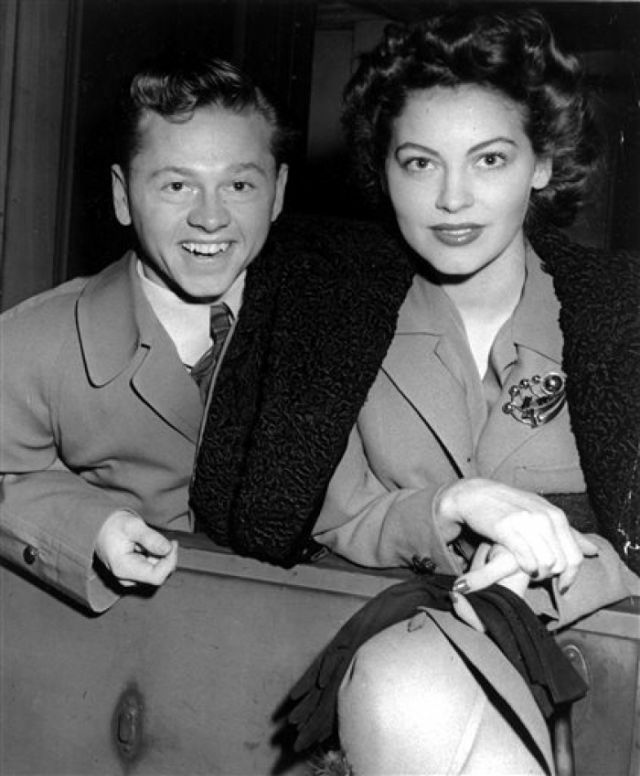 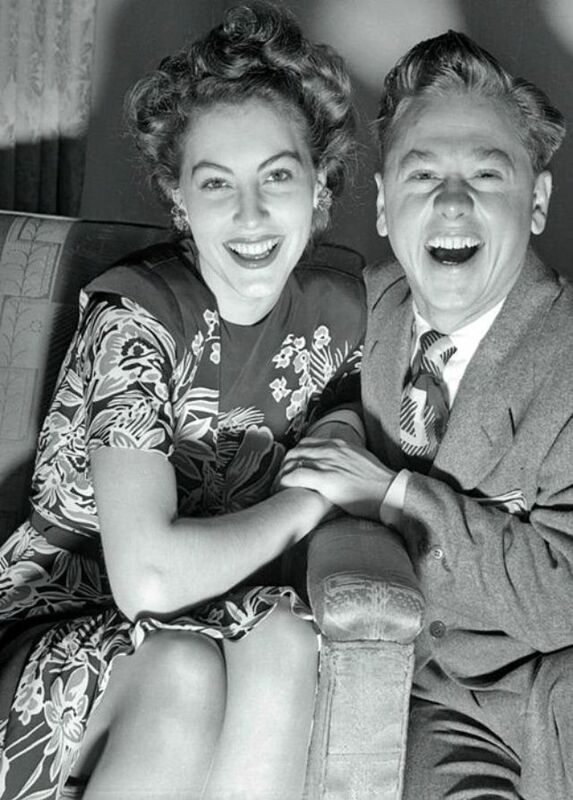 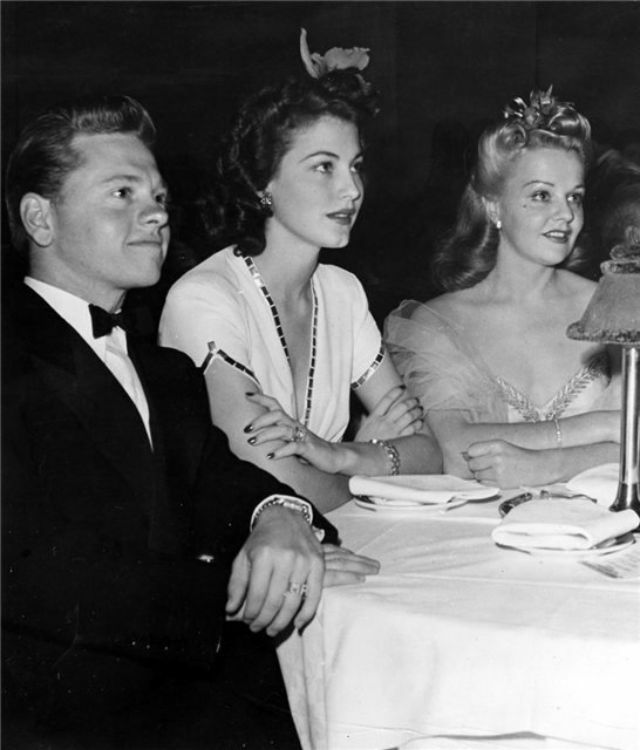 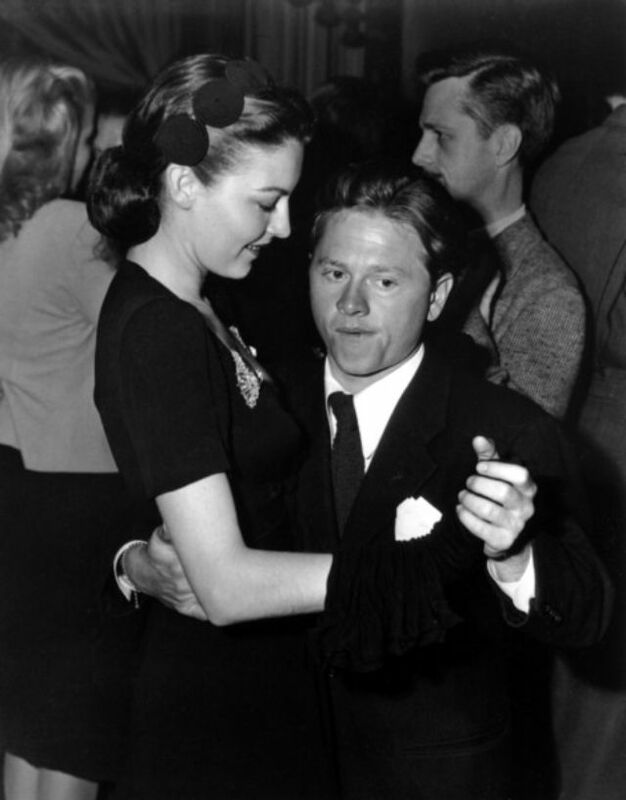 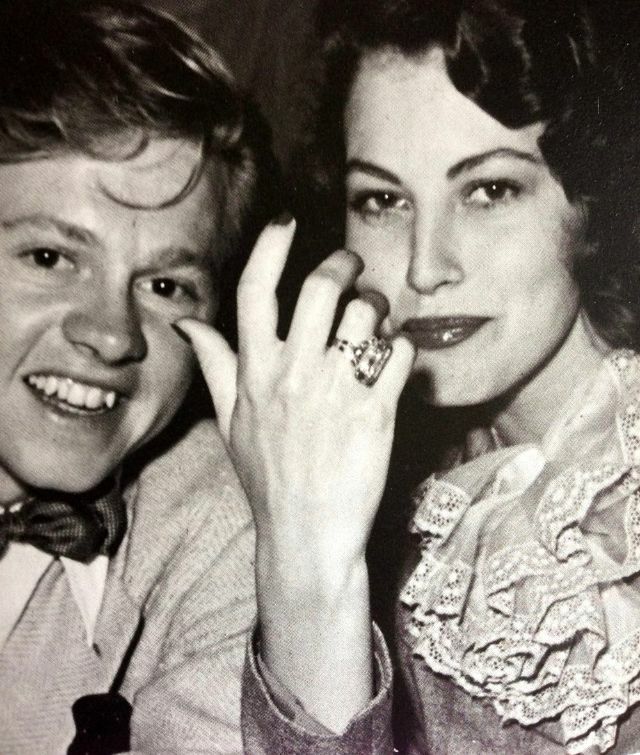 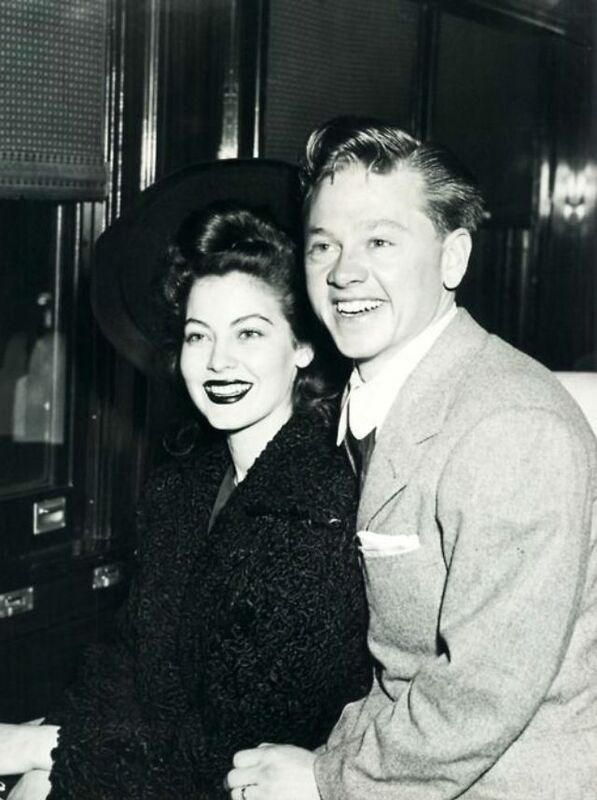 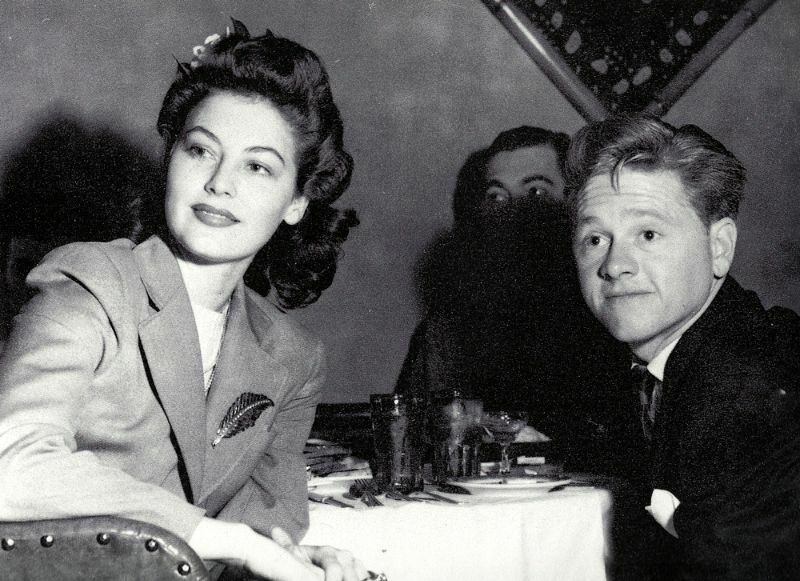 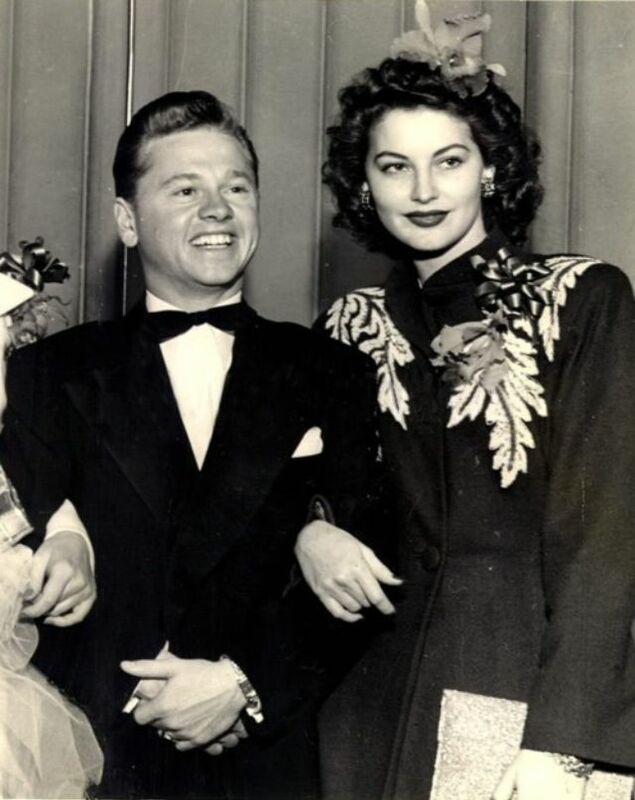 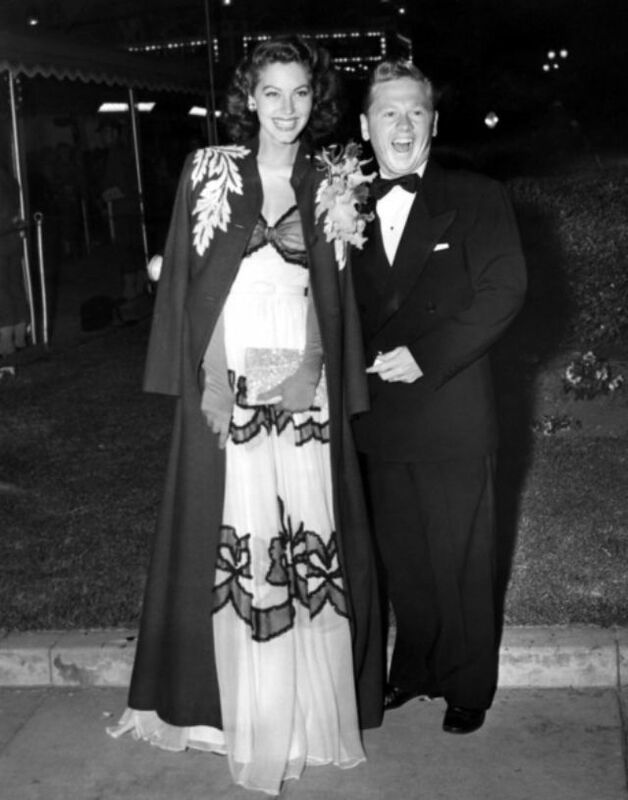 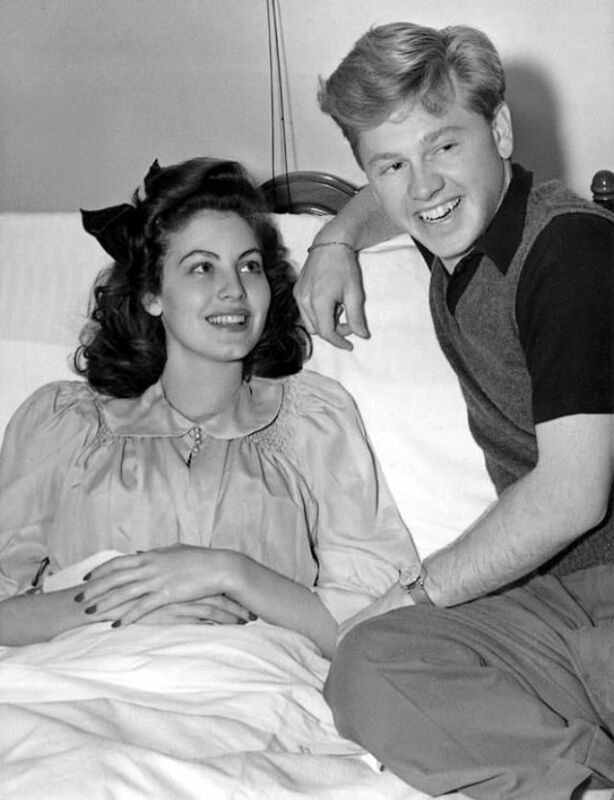 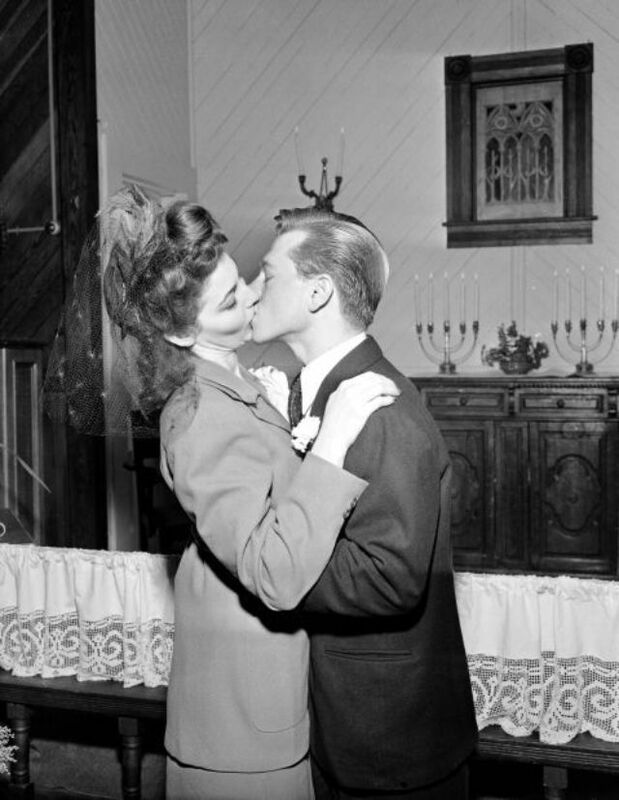 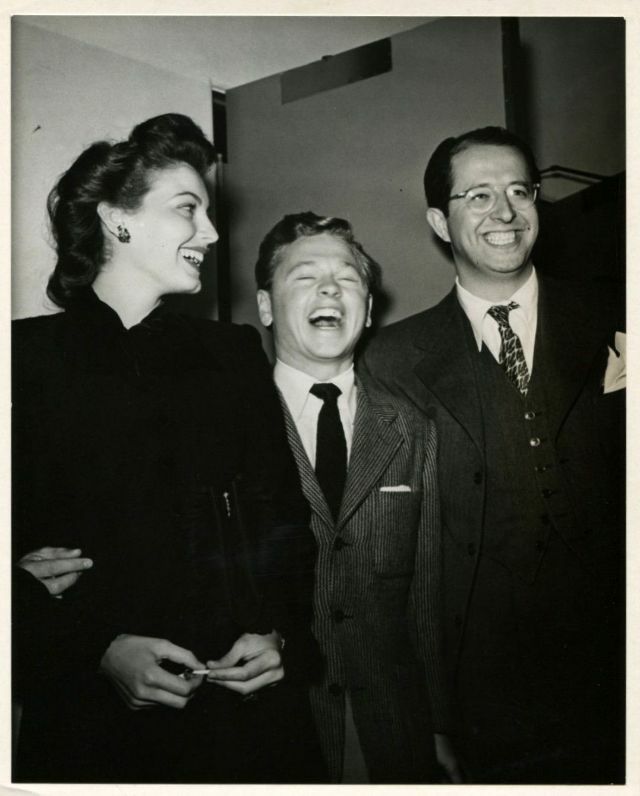 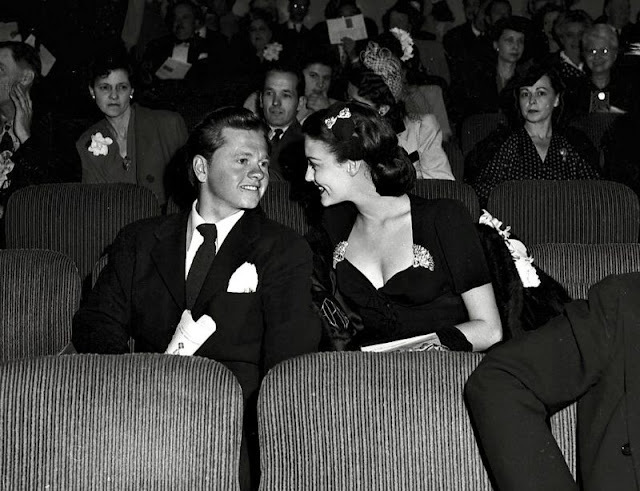 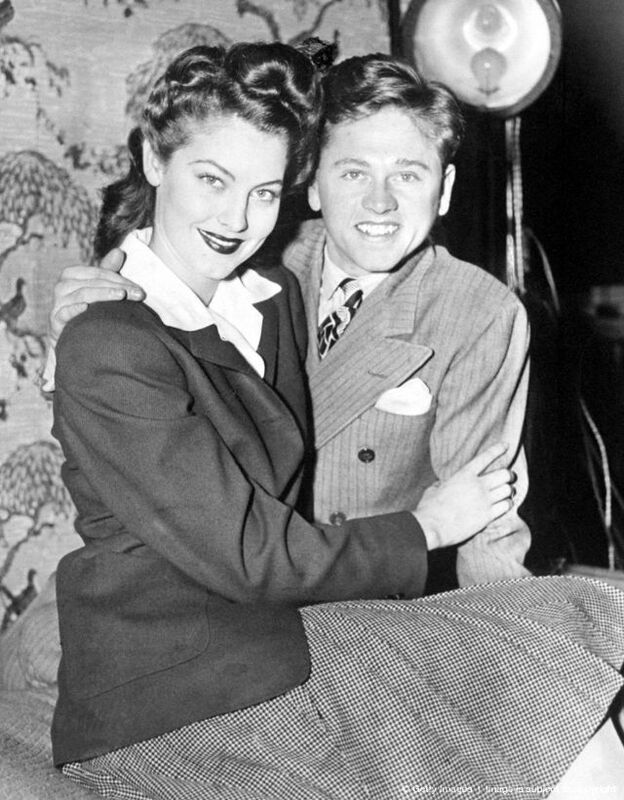 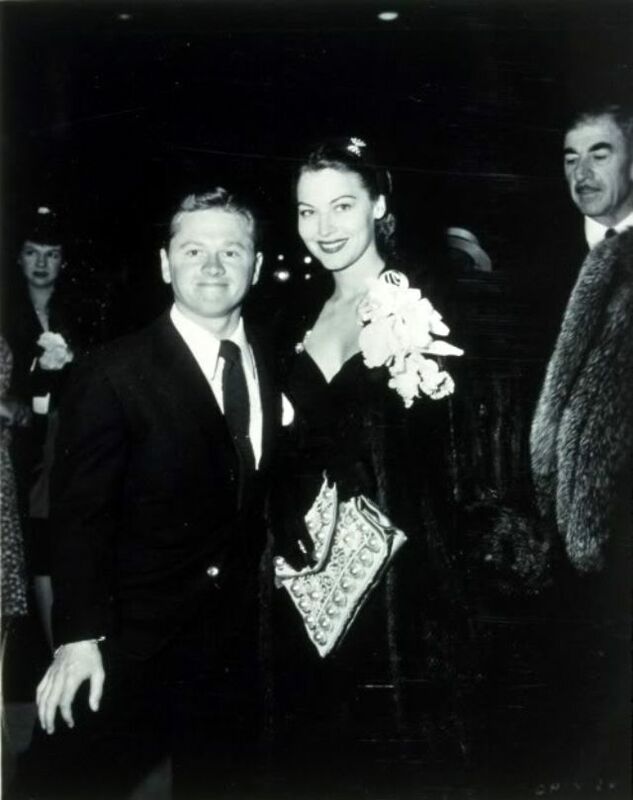 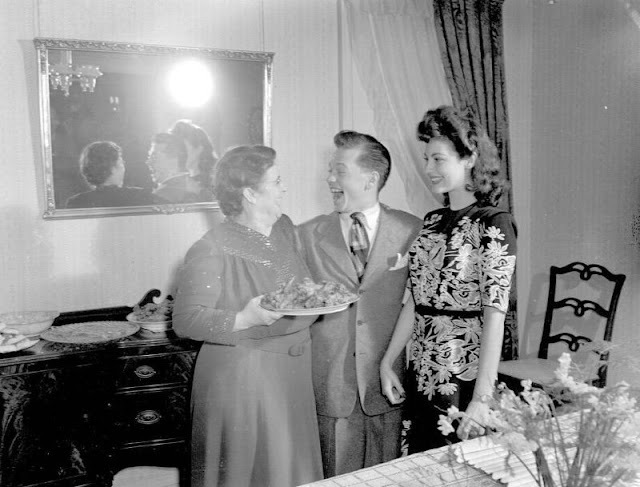 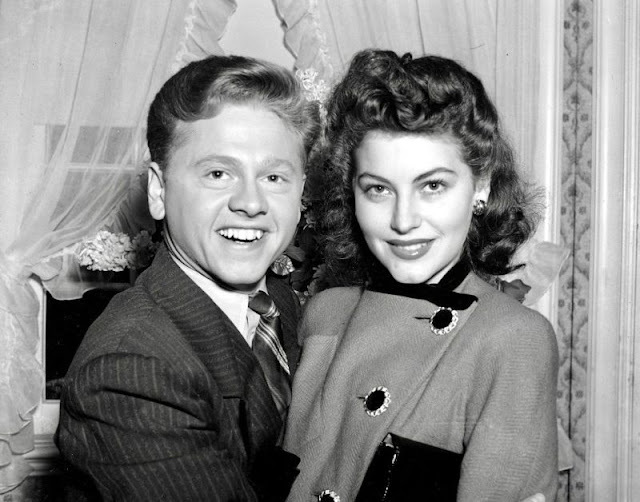 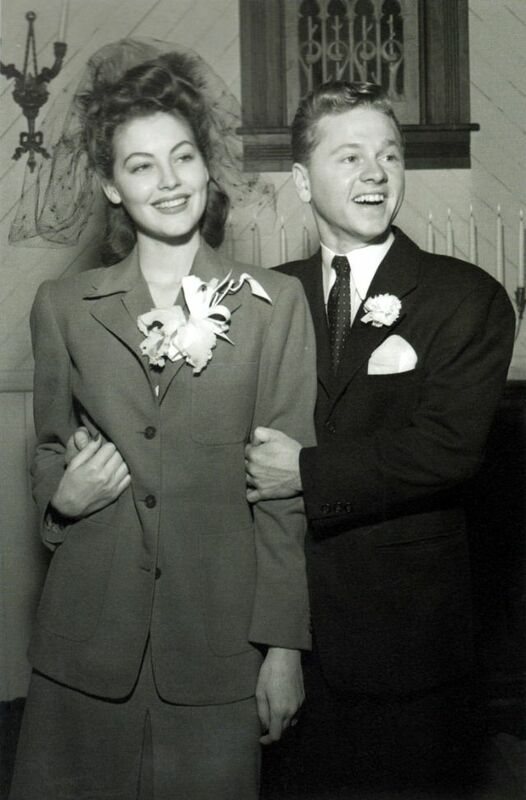 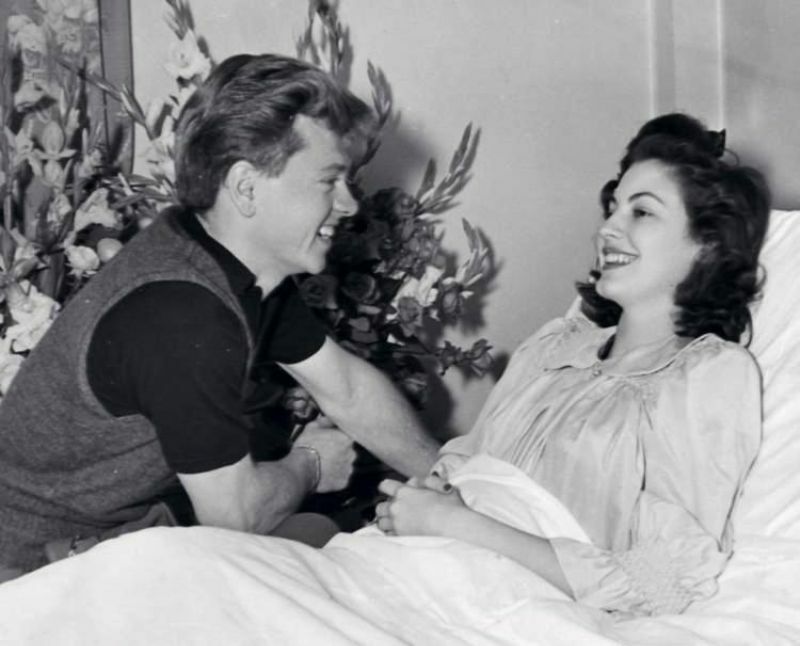 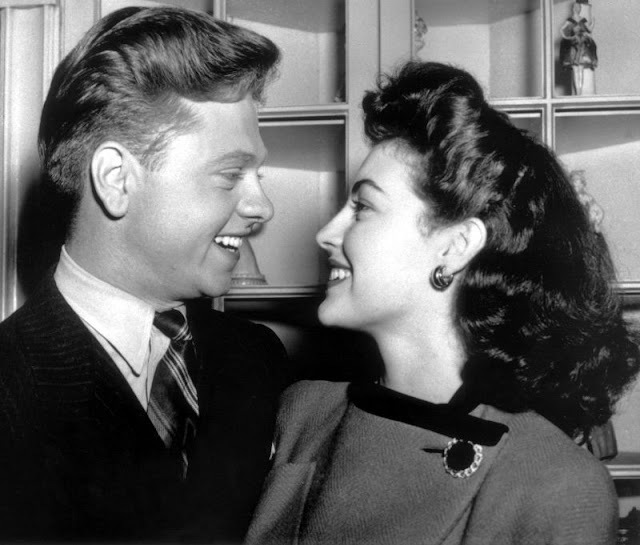 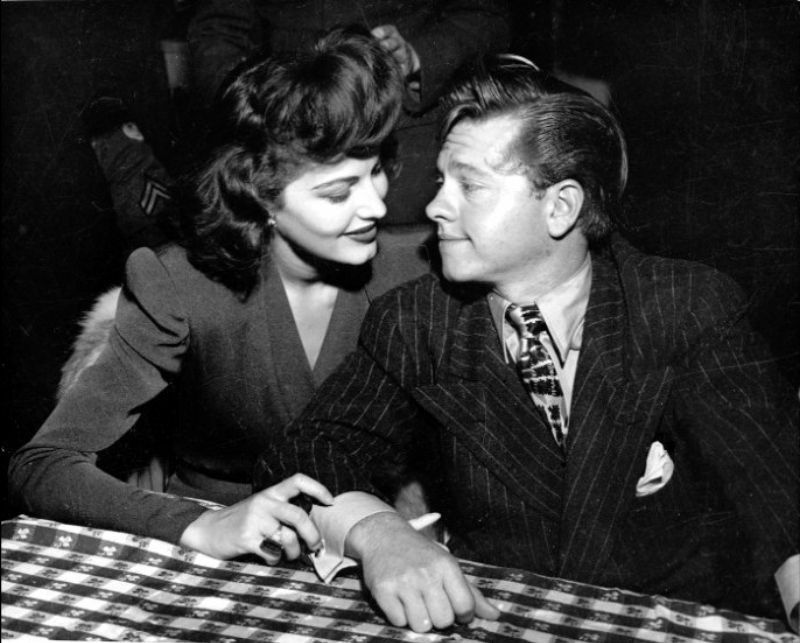 Ava Gardner was only 19 when she married Mickey Rooney. 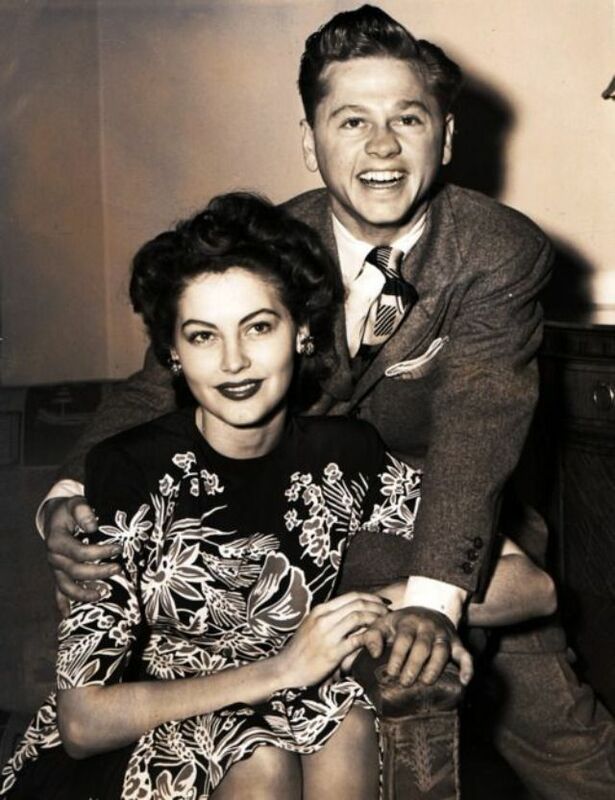 “The smallest husband I ever had, and the biggest mistake” — that was how she described Mickey Rooney, who'd once been Hollywood's top box-office draw. 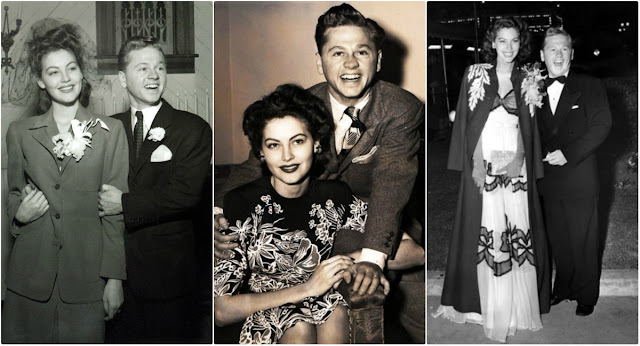 Here below is a sweet photo collection that shows the happiness of Mickey Rooney and Ava Gardner during their short marriage.